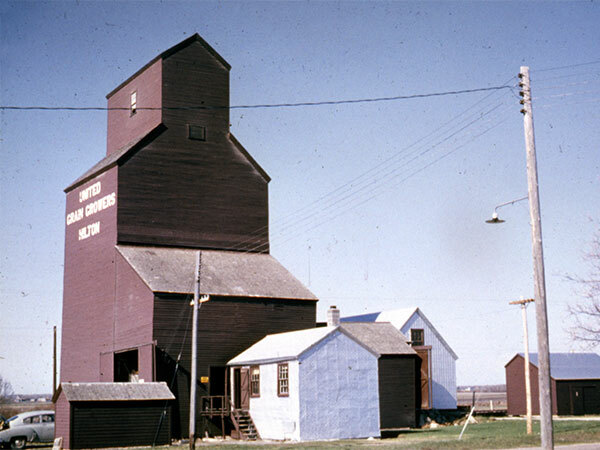 Built in 1927 for United Grain Growers, a wooden grain elevator in the village of Hilton, on the CNR Wawanesa Subdivision in what is now the Rural Municipality of Prairie Lakes, was closed in July 1966. The building was traded to Manitoba Pool Elevators around 1976 and moved to Ninette, where it stood until demolition in 1989. Wawanesa East topographic map, 62G/12 East, Edition 2, Series A743 [UFS Reference Collection]. 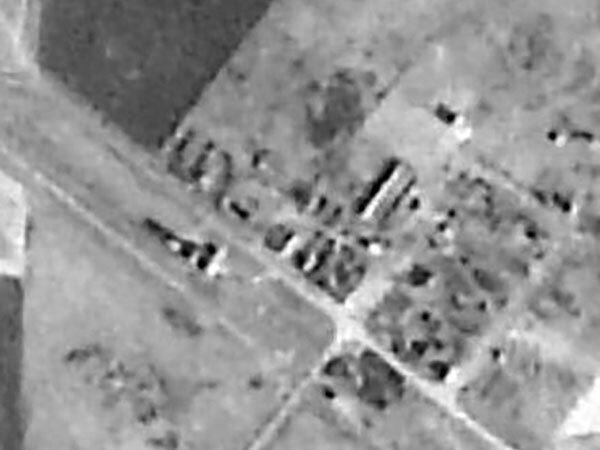 Strathcona: Portrait of a Prairie Municipality by Freda Rajotte, circa 1976, page 106. We thank Ray Cadman for providing additional information used here. This page was prepared by Gordon Goldsborough, Glenn Dickson, and Denis Sabourin (Denis Sabourin Geomatics).